Brooms. You know, like the thing you use to sweep the floor. “Aha,” I smiled. “You want me to tell the broom story? I like that story. But do you think Jon will mind?” Without even the slightest of pauses, I clearly heard the answer resounding in my head. Nope. He’s good with it. What a relief! Knowing that Jon really had no choice but to be okay with me posting this story, as he obviously couldn’t go against what God had already told me, I am ready to share one of the funny events from our first year of marriage. A couple of years ago, Nathan heard about this trick in which you could get a broom to stand up all by itself. If there is anything Nathan loves, it is a trick. 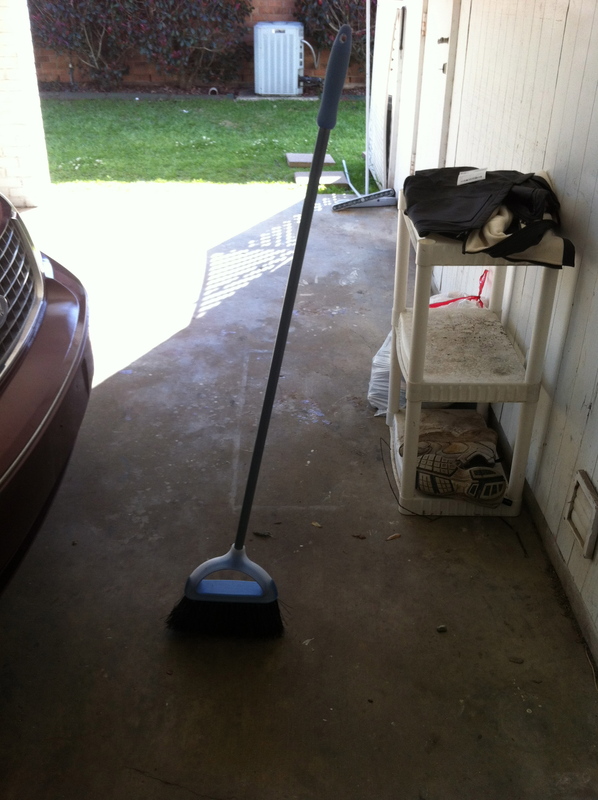 As I recall, he spent a significant amount of time, researching this trick on the internet, after which he spent an even longer period of time working under the carport, attempting to make our broom stay upright. Once he got the hang of this trick, Nathan called all of his siblings. Of course, each of them had to give it a try. Megan, determined not to be outdone by Nathan, practiced doing it until she was able to have the broom stand alone as well. Soon an entire gang of neighborhood children had gathered up on our driveway to watch this impressive trick being performed by my children. However, all that applause wasn’t sufficient to satisfy the kids. They decided to conjure up a plan intended to impress their dad. It was nearing time for Jon to return home from work. The kids put the broom, standing at attention, right in the middle of spot where Jon parked his car. Their plan was to hide inside and watch his reaction as they peeked out of the windows. I’m sure it would have worked wonderfully well if it weren’t for one small problem. The slightest bit of breeze caused the broom to topple over. There was no way to ensure the broom would stay standing. The kids quickly decided to move their broom trick inside the house. This time they stood the broom upright about 4 feet from the door, in the middle of the foyer area. No matter which way Jon decided to go in the house, he would have to walk right past the broom. To add the the brilliance of their plan, they placed the dustpan on the floor next to the broom. It looked as if someone had been sweeping and then forgot to put the cleaning supplies away properly. To further set the scene, all the kids grabbed books and situated themselves on chairs around the living room, nonchalantly appearing to be engrossed in their reading. The house was full of giggles and whispers right up until the moment Jon’s car pulled into the drive. Silence. Then the sound of the car door shutting and footsteps approaching. The anticipation was heavy. No one dared to breath for fear of laughing and giving away that a trick was being played. When the door opened, Jon stepped inside the house, and turned to set down his keys. “I’m home. How’s everyone here?” he asked. “We’re fine,” came a chorus of replies. “Good. Well, I’ll just go wash up so that I’m ready for dinner.” And with that, Jon walked right past the broom as he headed for the bedroom. For the most part, the kids gave him one word answers, but none of them was willing to engage with him about the day. None of the kids dared to look at him for fear of bursting into peals of laughter, and yet they could hardly stand not to look up. Several long minutes passed. Jon gave no indication he had even seen the broom. By this time, the kids were giggling uncontrollably. “It looks like a broom to me … a broom that someone forgot to put away. What’s so funny?” There were hints of frustration in Jon’s voice. “It’s … it’s … ” The kids were laughing so hard they couldn’t answer. Finally, one of them managed to say, “The broom! It’s standing up by itself!” Tears were racing down their cheeks as they laughed uncontrollably. I love the broom story. Each time my family remembers it, we laugh. And seeing that we sweep often, the memory of that afternoon is recalled at least two or three times a month. While hopefully it is somewhat entertaining to read about, there is also a spiritual lesson I’ve learned from it over the years. You see, my husband Jon is many things . A man of prayer. A generous giver. An enthusiastic encourager. A gifted song writer. 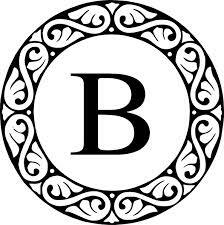 He is loyal, hardworking, faithful, full of laughter, and eager to help others in need. I could continue on, because he truly is a wonderful man. But he’s not perfect. Just like other men, he’s lacking in some areas. And one of the things he seems to often miss is the details. He doesn’t mean to miss things. He just really doesn’t notice. The problem is sometimes he doesn’t notice things that are important to me. When that happens, I often end up with feeling neglected or perhaps rejected. That’s never been Jon’s intention, but there are still those occasions. The broom story serves to remind me that my husband may miss some big things, and I may not be able to count on him to catch all the details …even the ones I think are obvious. And that’s okay. I can rest assured he still loves me. I am encouraged every time I consider the truth of how God, the Creator of everything, is not just in the big details of my life. Rather, He intimately knows the tiniest details of my life. And He never misses anything. What about you? Are you detail-oriented? How do you feel knowing that God is familiar with all the details of your life? I too love that God cares about every detail of our lives.